BATOURI, Cameroon—Two days before the end of December in 2017, nine people died in a fatal cave-in at a mining site in Ngoe Ngoe, a village of more than 2,500 residents in the East Region of Cameroon. Local media later reported that the death toll had risen to 15. Lu & Lang, a Chinese mining company, had just abandoned the site and left its mining pits unfilled and in an unsafe condition, ignoring the considerable risk that the “open tombs” posed to the local population. The men and women killed in the cave-in had gone to the site hoping to find some remaining specks of gold. 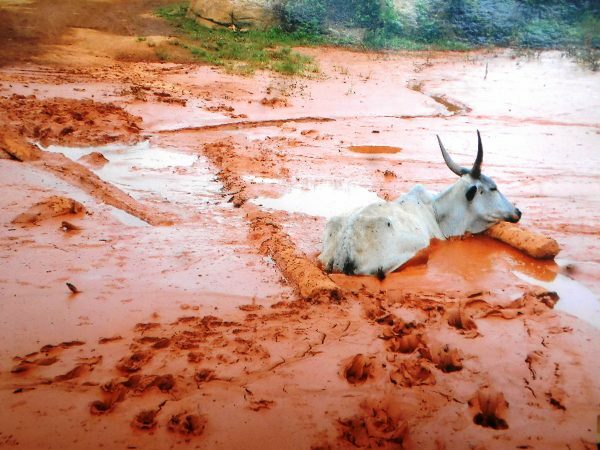 About three years ago, four people believed to have died in a similar manner were discovered at the same site in Ngoe Ngoe, according to Mada Michel, the mayor of Ngoura municipality, which includes Ngoe Ngoe. Cameroon’s mining code stipulates that mining companies are responsible for filling in pits after abandoning a site. It obliges them to leave the sites in a safe and acceptable condition, so that they don’t pose a threat. However, mining companies—the majority of them Chinese, such as Lu & Lang—are leaving the pits open at almost the same pace at which they exploit the mineral resources. Civil-society activists say the Chinese companies get away with ignoring the regulations for two key reasons: they pay huge bribes to officials, and some influential Cameroonians have shares in the companies. Activists also suspect the Chinese communist regime of “backroom bullying,” since China is a major partner with Cameroon, giving the country many loans and grants. Chinese mining companies’ disregard for safety guidelines is just one of the numerous woes already caused by mining in the region. Local civil-society organizations say the death toll resulting from both illegal mineral exploitation and unsustainable mining practices is reaching an alarming rate. In 2017 and 2018, no fewer than 100 people died in mining pits left uncovered in Cameroon, according to statistics by non-profit environmental organization Forêts et Développement Rural (FODER). The organization said there are more than 250 pits left abandoned since 2012 that have yet to be filled. Open pits, some as deep as 80 meters (more than 260 feet) and filled with stagnant water, are a serious risk to local populations, especially children who play around them, as well as to livestock. Artisanal miners also run the risk of being buried in their haste to find any remaining traces of gold. Ngoyla resident Soweiya Audrey, a mother of five in her 30s, said her life hasn’t been the same since she lost her husband in 2017. This was the third loss of a family member for Audrey, who lost two cousins the same year under similar circumstances. “I had a breakdown that year. Since I recovered, my worry has been having to fend for my children alone. Life for me is extremely difficult and I struggle to barely survive,” she said. Such tragic stories are common. Haman Baba, who lives in Mungonam on the outskirts of Batouri, described the death of his only son as “the worst thing that has ever happened to me.” The boy had been playing near an uncovered pit when he fell in and drowned. The activities of Chinese mining companies have left previously safe residential areas prone to danger. 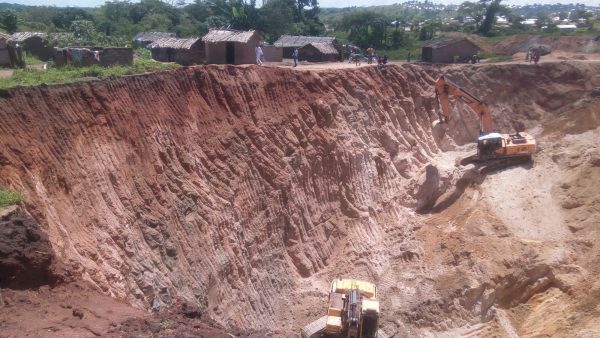 The companies use excavators to dig deep holes, which leave houses in the vicinity perched near the edge and at risk of collapse. Civil society activists say when local populations complain that their rights and community endowments are being grossly violated by the Chinese companies, the government overlooks the issue. 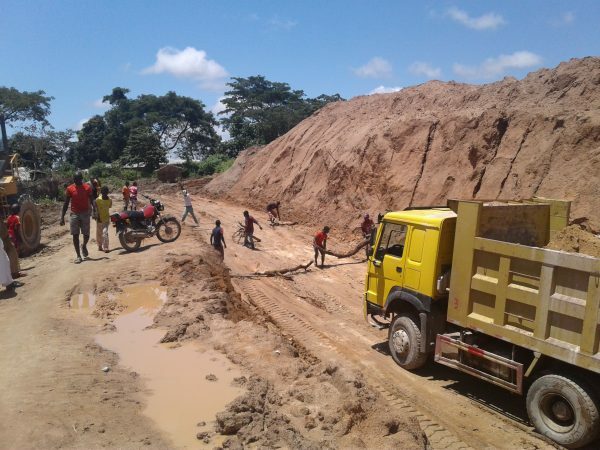 But in April 2018, Cameroon’s minister of Mines, Industry and Technological Development sanctioned three Chinese companies. Hong Kong, Peace Mining, and Lu & Lang were banned from gold-mining activities and their officials were ordered to leave the region. Peace Mining and Lu & Lang were indicted for environmental degradation, as well as recurrent deadly conflicts with locals fueled by the companies’ Chinese employees. For its part, Hong Kong company didn’t even have the authorization to carry out mining activities. Animosity between Chinese mining companies and local populations over the “open tombs” issue abounds in areas rich in mineral resources. 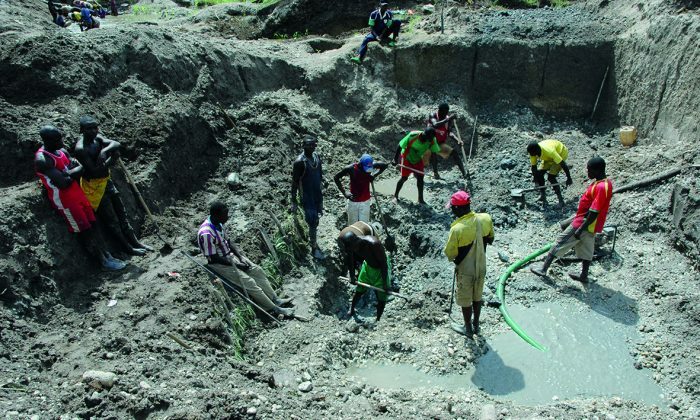 According to Justin Landry Chekoua, senior project manager of the Mines, Environment, Health & Society Project at FODER, Chinese miners regularly chase away local artisanal miners. This often leads to deadly conflicts. Less than two years ago, the mining town of Betare-Oya was the center of violent confrontations between Chinese miners and the local population. After failing to coerce some locals to leave a mining site, a Chinese man grabbed a gun from his car and fired at one of the locals, killing him. In retaliation, the locals pounced on the Chinese man and stoned him to death. Before Chinese mining companies began appearing around 2000, life in mining areas in the East Region of Cameroon was different; people had been mining on lands they inherited from their forefathers using crude tools. The Chinese came because of a decision by the government to recover gold in the area of the Lom Panga Dam before construction, Chekoua said. Large amounts of gold would have been flooded by the dam waters, so the government authorized semi-industrial mining in the area. Cameroon nationals are the only ones permitted by law to hold mining permits, but because they lack the necessary technical competence, they were allowed to enter deals with foreign firms. “Instead of going into partnerships, most Cameroonians got the authorization and sold it to foreign companies, the majority of them from China,” Chekoua said. He added that some of the Chinese companies are now using the identity cards of their local employees to obtain permits. As Chinese companies mine gold worth billions of CFA francs (the West African currency), riverine communities are left with the fallout. In addition to the dangers posed by abandoned pits, locals are victims of the use and abandonment of mining chemicals on the land, rendering it infertile. The destruction of farmlands and forests is also a problem. In addition, the stagnant water that accumulates in the pits breeds mosquitoes, which spread malaria. Bernard Ngalim, a human-rights and environmental-rights specialist, told The Epoch Times that foreign miners, including Chinese, violate with impunity the environmental, social, and political rights of the people. “They don’t pay the appropriate royalties. They under-declare the quantity of gold produced. They desecrate traditional shrines and burial grounds and use government security forces to intimidate and harass people,” he said. Ngalim says Cameroon must take a good, hard look at the way the mining sector is regulated and make changes. Attempts to interview some of the Chinese mining companies proved futile; those who did answer a call for comment hung up as soon as the topic was mentioned. The Chinese embassy in Yaoundé also didn’t respond to a request for comment. Cameroon prisoners transform worn-out tires picked up off the streets into brand new, durable and marketable sandals.